Home How does Medicare work? If you are 15 or older you can get your own Medicare card! This means you can get bulk billed. Bulk billing means you see your GP for free with the costs being covered by the government. If you are under the age of 15 you can still get bulk billed; either borrow your parents’ Medicare card or simply take a photo of it and show it to reception at the Doctor’s practice saying that you are a student and wish to be bulk billed. 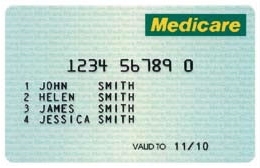 For more information on Medicare and bulk billing please refer to the link below.